He got his MS and PhD degrees in Chemistry from National Taiwan University and SUNY University, respectively. He has served as Syntex, Sonus, Shaman Pharm Co. Ltd. He is one of founders of PharmOut, Biokey, Inc.. He is the world famous expert of analyzing Chemistry and devote to research and development of new products. Dr. Lee is a general partner and a co-founder of AmKey Ventures, LLC, a venture management company specializing in investments in the biotech and pharmaceutical fields. He has over 20 years of extensive experience in the pharmaceutical industry, having worked at major pharmaceutical companies, Syntex, Sonus, and Shaman Pharmaceuticals. 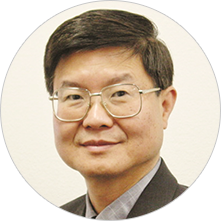 Dr. Lee is also an internationally known pioneer in the field of steroid hormone research, in addition to having an in depth experience in analytical method development and validation. Dr. Lee earned his Ph.D. degree in Chemistry from the State University of New York at Buffalo and his B.S. degree in Biochemistry from National Taiwan University, Taiwan. Dr. Lee is the chairman and the representative of artificial person of the Genepharm Biotech Corp. He earned his Ph.D. degree in Chemistry from the State University of New York at Buffalo and his B.S. degree in Biochemistry from National Taiwan University, Taiwan. He has over 20 years of extensive experience in the pharmaceutical industry, having worked at major pharmaceutical companies, Syntex, Sonus, and Shaman Pharmaceuticals. 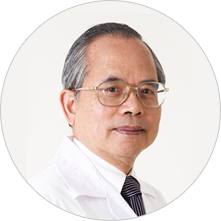 He is one of founders of PharmOut Pty Ltd., Biokey, Inc. He is the world famous expert of analyzing Chemistry and devote to research and development of new products. Comprehensively fortify ingredients and product R&D and improvement, and enhance quality control and management.